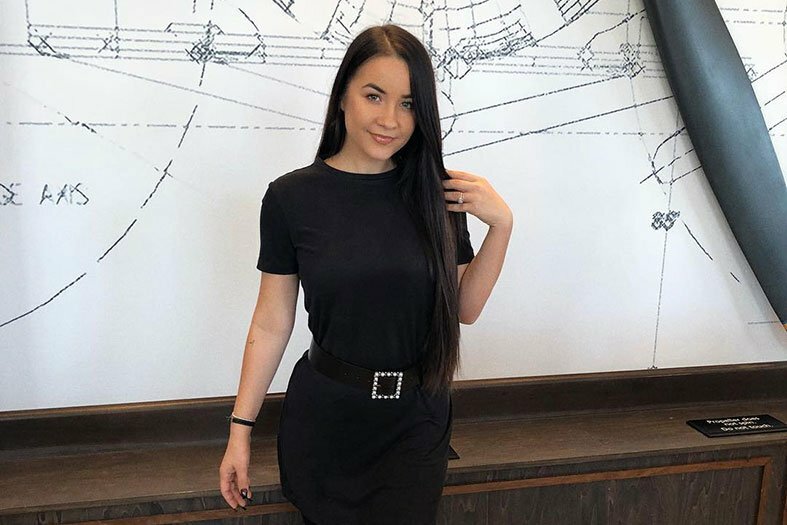 Lately, it seems that natural look has been coming back into fashion. Thin, pencil-drawn eyebrows are in the past – thick, dense, bushy eyebrows have taken over television, runway and possibly the most influential social media platform – Instagram. Thanks to new trends in cosmetic treatment, there are various techniques to get the trendy natural look. 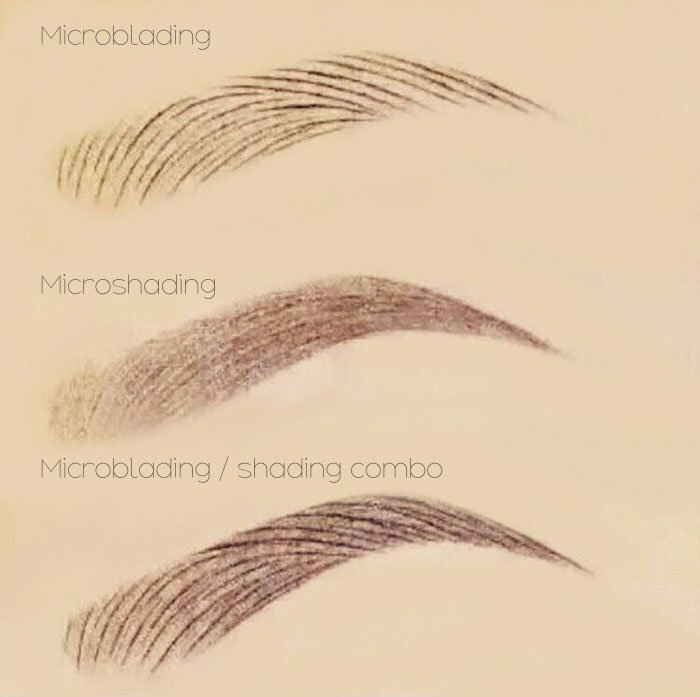 Being one of the most important features of a person’s face, eyebrows must look as natural as possible and that can be achieved by microblading or others, even more advanced techniques, such as PhiShading. As you already might have read in our previous posts, microblading is a semi-permanent version of eyebrow shaping and draving. The process of microblading involves implanting appropriate pigment into your skin, using a tool which looks like a pen and consists of 12 to 15 fine needles. The needles are very thin and they make small scratches on the surface, unlike in the process of eyebrow tattoos, which is in the deep layer of skin. The result is – more natural-looking eyebrows that don’t last forever, which is a good thing in case you change your mind after some time, or the trend changes. If we compare the 1990s when eyebrows were just two thin lines and 2000s dominated by bushy thick eyebrows, we can see that no eyebrows trend lasts for long, so you don’t want anything permanent on your face. Just when women around the world became obsessed with the technique that made their brows look natural and dense, something even better appeared. A more advanced procedure of microblading is microshading or PhiShading, an eyebrow treatment created by PhiAcademy. It is a combination of two techniques – microblading and shading. Microblading involves pulling or dragging the microblade across your skin and it is followed by shading, which is done by pushing the microblade directly down against the skin. These two techniques combined provide eyebrows that look powdered and even more natural, since the space between the hairs is filled with lighter pigment, making something like a shadow. In microblading, gaps are required in the work to resemble the distance between hair, while in shading the area between hairs is airbrushed with pigment. 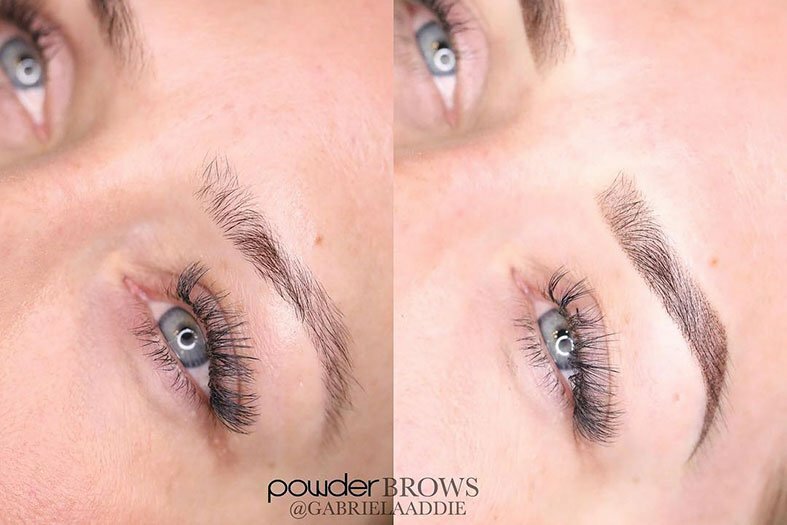 This combination of microblading and shading results in perfect eyebrows. Eventhough the procedure might sound painful, the treated area is numbed before microshading, making it more bearable. After all, it is a small price for something that will last for almost two years (the estimated time after which eyebrows return to their original shape and color). Also, your eyebrows might seem a bit too dark and swollen after the process, but everything looks as it should after the healing process. If you are tired of doing your uneven eyebrows every morning, trying to make them look as natural as possible, microblading shading is something you should consider. Not only does it make you look as if you always have your make up on, but it also saves time you usually spend every morning on trying to make your eyebrows look realistic. Also, you don’t have to worry that the eyebrow pencil will be smudged all over your face in case you get wet in the rain or go to a swimming pool. It is also recommended for people with sensitive skin, people who have no natural eyebrows and people with oily skin. Eyebrows are the most important feature of a person’s face and PhiShading is a treatment that has helped a lot of women feel better about themselves. Many celebrities have also decided to join the recent trend and opt for microshading, and it is known that they are the ones who set all the fashion and beauty trends. Once you decide to go for it, be careful when you choose who will perform the treatment on your face. Since it is so delicate and sensitive and you mustn’t put it in hands of an inexperienced person. Do some serious research before you book an appointment and choose an artist who works with the best equipment and materials, someone trained and experienced. Choose a person who takes pride in satisfied customers whose pictures are displayed on their website. Don’t turn to an amateur because you will end up paying more money to fix what was not perfectly done. 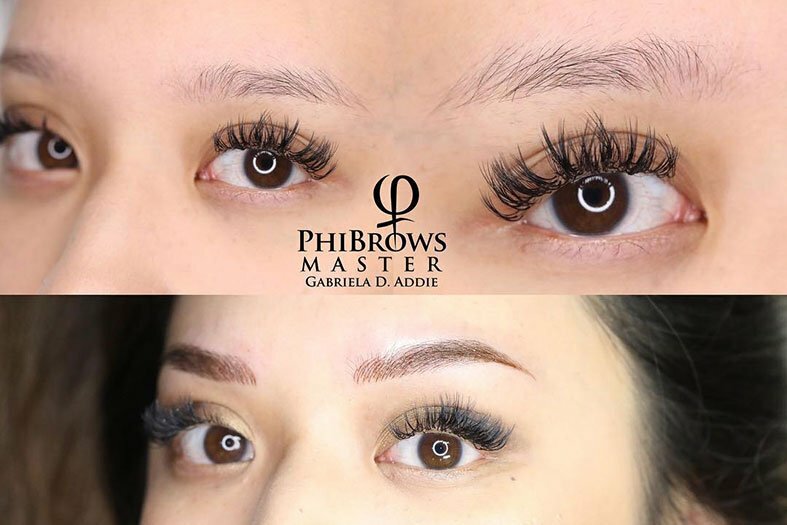 Choose experienced PhiBrows artists, recommended by many content clients. Nowadays, there is almost no beauty salon that doesn’t include microblading and microshading in their offer. The popularity of PhiShading seems to keep growing and the demand for it doesn’t fade, so, if you are in the service of beauty industry, you must consider mastering the technique of PhiShading, thus expanding your services and grow your business. This can be done by signing up for either live or online PhiShading manual shading training at Art of Beauty Academy. Entering this course will enable you to learn one of the most popular cosmetic eyebrow treatments in the world. In addition, you will be taught by professionals and leaders in this industry. The training consists of several classes, which are easy to follow, since the process of PhiShading is broken into small units, making it easy to understand. The course starts with basic things you need to know before you start learning PhiShading and then each class introduces something new and more advanced. So, if you are a beautician or you are thinking about starting your own business, microblading shading is something that unquestionably pays off, since the demand for it is on the rise and you will be able to return your investment after only a few sessions. Of course, once you become a professional, you can charge more. But first, you need to finish the course and get a certificate. So, whether you are a person who spends time trying to make your eyebrows look more modern, natural, full and bushy as the trend suggests or you want to start a new, profitable business, microshading is the thing for you. Just make sure that either the treatment or the training is done by a professional, which Art of Beauty Academy USA definitely is.